We’d love your help. 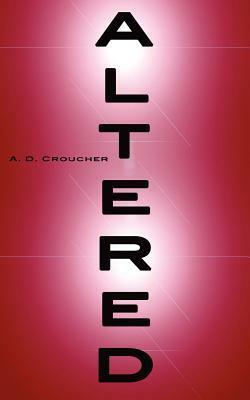 Let us know what’s wrong with this preview of Altered by A.D. Croucher. Reese has a plan: keep his grades up, work hard on the basketball court, apply to his favorite Ivy League college, and don't get arrested. Reese knows things no one should know. He always thought he just had good instincts, but he's noticed that it's been getting worse. Lately it seems like something else. And he's not t Reese has a plan: keep his grades up, work hard on the basketball court, apply to his favorite Ivy League college, and don't get arrested. And he's not the only one that has noticed. To ask other readers questions about Altered, please sign up. 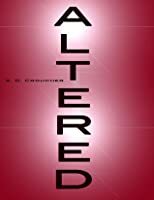 Not to mistake this book with the upcoming Jennifer Rush novel by the same name, Altered by AD Croucher is also a sci-fi and it deals with genetics, wild experiments, and my personal favorite: altered humans with superhuman abilities. No matter my small quirks with it that ultimately decided its 3 star fate instead of the 4 I immediately wanted to give, it's a genuinely good book. It's entertaining, it offers a riveting plot that never ceases, and it has just the right combination of science fic Not to mistake this book with the upcoming Jennifer Rush novel by the same name, Altered by AD Croucher is also a sci-fi and it deals with genetics, wild experiments, and my personal favorite: altered humans with superhuman abilities. No matter my small quirks with it that ultimately decided its 3 star fate instead of the 4 I immediately wanted to give, it's a genuinely good book. It's entertaining, it offers a riveting plot that never ceases, and it has just the right combination of science fiction and action. Having been tuned into the trend of science fiction novels lately, I was quick to get sucked into this novel when it spoke of mind reading and mysterious medical experiments. I found it wildly interesting, especially considering how it doesn't leap too out of range of plausibility; oftentimes, science is as scary as it is fascinating! If you're the type of reader who enjoys books with super powers, our protagonist here can read minds, we've also got super strength along with some more... bizarre experiment consequences in the mix. Not only are these kept a mystery, we're treated to plot twists that will completely change what you foresee from this whole series. The mystery is one, albeit small, reason I did not end up completely in love with this novel. Of course I understand the need for secrets when it comes to any type of new medical undertaking, but between the doctors and Reese, I found the reasons for the secrecy a little weak. In his position, if I was explained from when I was old enough to understand, I would have been quite willing to work with them to potentially help their research--what has been done has already been done. He would have died if not for them, and it could help others. Why keep it hidden? Why take him against his will, do loads of tests on the kid, lock him in rooms, and basically wait until he tries to escape repeatedly before telling him what he's there for? Their explanation isn't even so scary--even though the truth may be a little altered. Instead of being anxious, I was wondering why there was all this drama. Perhaps we're expected to assume the worst. Perhaps I have just read so much horror that I've been conditioned (which scares me!). Some dystopians are great because of world building, some propel you into your protagonist's fears and sufferings, others are simply fantastic because of their plot. The latter can work very well in some cases, but in others, it leaves you wanting more from your characters, which is the case in Altered. We meet some truly good characters--the protagonist being male was a plus for me as well,--but where it falters is in his development and, later on, in his romantic wandering. Although I did like his characters, and he has an easy voice to follow through this story, I can't say I know who he truly is more than a character in a book. He didn't particularly grab me. As for the romance in the novel, I think it to be its weakest point. There is a vague and brief love triangle with two girls--a nice step from the norm--and I did not feel anything between any of the characters in this novel, nor did I understand why he was so infatuated with one to the point of risking everything. Even the dramatic relationship between a girl and her mother (the villain) felt overly acted. Yes this book brings it in the entertainment value--absolutely. It's when you consider the novel as a whole that it falters a little. As it's so short with only a little over 200 pages, you at least have no time to reflect on this lack of character development while you're being propelled into an adrenaline filled joyride. It's one made for, and undoubtedly enjoyed by, fans of action movies! An advance copy was provided by the author for review. The laughter rings out of her. or at least date one?'" Not my best summary but this is one of those books that I think authors love to write and readers hate to love. This reason being that so much is kept in secret. You horribly mean authors you, you are hoarding all the secrets and me as a greedy and impatient reader want to know everything! Why must you toy with my mind and emotions like this!? Because I am a geek, I loooooved the genetic, scientific and medical aspect of the story. All the talk of different diseases and cures was so interesting! Why was Reese sick? How was he cured? What is going on now? ALL of these answers I HAD to know but as good writers do, we only got a little bit piece by piece. Great storytelling, awful for the impatient reader :) I looooved the piece by piece info we did get and I looooved thinking about it and trying to dissect the meaning and medical rationale behind it all. I adored Reese's character! His self-deprecating humor had me laughing out loud because it was totally realistic. The dialogue and the internal monologues were great. Humorous yet honest and emotional. The moments of Reese remembering his mother were heartfelt and some of my favorite parts of the book. Erika's characterization felt so real as well. Without ruining the story, Erika is doubtful as first (legit) and doesn't immediately jump to believe the cute boy in front of her. She waits, investigates on her own and makes her own decisions. LOVE this about her. Her loyalty was also completely unquestionable. She stood strong and stuck by those she cared about. I also totally loved the juxtaposition of the fact that Reese's side effects were mental whereas Erika's were physical. It is almost always the opposite. The male is physically strong and the female is mentally superior. I love love loved that it was the opposite in this book! This book was very fast-paced and definitely a quick read! The sci-fi elements unravel throughout the book and getting little bits of information here and there definitely helps build the momentum and suspense of the story. My only problem was I would have really liked to see the relationship with Erika and Reese build a little bit more but this is the first book in the series and I have a feeling this is just the beginning for them :) Again, this is my problem with being a greedy reader! I am anxious to see what happens next and where Reese's story goes from here! I definitely have a few unanswered questions that I can't wait to see what the next book has in store for our characters! This book really surprised me. The beginning of the book was quite slow to start with and I didn't particularly like it, however I am glad I persisted and continued to read this amazing book. After Reese is cured from a life-threatening disease using controversial methods his life is altered dramatically. Reese can now read people's thoughts and has better instincts. Being the only other known successful trial of the treatment makes him feel like an outcast. Due to a favour for a friend going wr This book really surprised me. Due to a favour for a friend going wrong, Reese was forced to go back to the research facility where he was treated in order to get an alibi for the murder of his ex-girlfriend's boyfriend Ryan. That's when all the trouble begins. One of my favourite parts about the book is the way it was written (after the first three chapters or so). I loved how we found out about Reese's father and his childhood throughout the tests conducted on him. The memories were well written. The emergence of the blank-eye-looking monsters really adds intrigue to the book and definitely made me keep on reading. I really loved the incorporation of them into the story and the focus of the book on the intricate framework of the plot rather than solely on any romance. I also think it's refreshing to have a female character who saves Reese and is physically stronger than him, due to undergoing the same treatment, rather than him saving the damsel in distress all the time. I enjoyed this book and am curious to see what the next book in the series brings. Croucher did a great job of grabbing my interest from the very beginning as we are introduced to the main character, Reese, essentially while he is stealing a car. The story is about a teenager who went through a life-saving procedure when he was young and now odd things are happening that he can't explain. I feel like I am over-simplifying this by saying just that, but there are so many other things that come up d I enjoyed this book and am curious to see what the next book in the series brings. Croucher did a great job of grabbing my interest from the very beginning as we are introduced to the main character, Reese, essentially while he is stealing a car. The story is about a teenager who went through a life-saving procedure when he was young and now odd things are happening that he can't explain. I feel like I am over-simplifying this by saying just that, but there are so many other things that come up during the story that if mentioned, would probably give some of the mystery away and everyone who reads my reviews knows I hate to do that. Reese is a solid character. He is smart but he doesn't take himself too seriously. He seemed to just adapt to his "power" which I found interesting - there was no learning curve but I have to admit, as brief as this novel was, there probably wasn't time to build up to it. Erika was a good character as well. There is a bit of an instant attraction between these two but she doesn't necessarily believe everything Reese tells her..not until she has some proof, which I found completely believable. There are some definite "bad guys" here and although there are levels of bad, I would consider them all to be quite dangerous to Reese and Erika. Based on where this book left off, I am interested to see what happens next for everyone. This was a quick and fast-paced story that pulled me into the story. There were some things that seemed to just "happen" and I think that it has the right mix of science and action to keep the reader engaged in the story. Definitely check this out when you can. I wasn't too sure about what rating to give the book. It has some parts that made me consider giving it a 4/5, but in the end I just couldn't bring myself to it. Altered is a page-turner, I can't deny that. Nor is it a bad book, I actually enjoyed reading it. Yet, it has some problems that I just can't ignore. 1) Forced mystery was forced. I can understand that the the writers had to find a way to keep us reading, so they needed to build tension in one way or another, but the book is going like this I wasn't too sure about what rating to give the book. It has some parts that made me consider giving it a 4/5, but in the end I just couldn't bring myself to it. We had to wait until almost the very end to get what was happening, and by then I was pretty bored. Sure, page-turner, sure, entertaining; but not at all times. After a while I simply stopped being curious and went on to see how the whole thing was going to play out. ...or maybe it's just me that couldn't relate to any of the characters or found them interesting; I couldn't bring myself to care about any of them. J (Joanna? I can't remember her name for sure) was a spoiled brat, Reese was unlikable, Erika was... Erika, I guess. I would hate the doctors, if I could see them as characters. My favorite character, if I have any, was Reese's dad, but he wasn't around for the biggest part, so that doesn't count. Sci-fi is not my usual genre of choice but, this novel is so compelling I was totally engrossed from page one. It has characters you care about, an interesting plot that never goes beyond the understanding of the reader and as that last page turns, you want to yell, "When is the next edition to the series?!" Well done, A.D Croucher. I look forward to much more from you. My first thought when I started reading this novel was "Yay! Male POV!" I have read so many books lately with a female main character, told in her POV, that this was a fantastic change. It was also great that the male, Reese, is an awesome, real character. He's a smart guy and he's very loyal to his best friend, Freddie, but he has made mistakes. Him trying to do right by Freddie is where the action starts, and it really doesn't slow down much from there. Even where there doesn't seem to be too My first thought when I started reading this novel was "Yay! Male POV!" I have read so many books lately with a female main character, told in her POV, that this was a fantastic change. It was also great that the male, Reese, is an awesome, real character. He's a smart guy and he's very loyal to his best friend, Freddie, but he has made mistakes. Him trying to do right by Freddie is where the action starts, and it really doesn't slow down much from there. Even where there doesn't seem to be too much happening in the scene, there is always some underlying tension or reason to worry. This was, therefore, an exciting novel, and fairly fast paced. My only issue with some of the action is that there were times when the scene jumped around a little too much. Thankfully, though, I was always able to find my place and get back on track. All in all, the plot was great, and I loved that the story felt very different from so much else I have read lately. It covers genetics, testing labs, human (and not-so-human) experiments, and does it in a very exciting and mysterious way. I thought the novel was very well written, overall. There were so many things that contributed to why I enjoyed it. First off, I loved how descriptive it was. Reese gets his nose broken at one point and I cringed and almost felt it because it seemed so real and so painful. I also really liked how Reese was written. Even with all the insanity of the plot and everything he goes through, there is still indications that he is really just a hormonal teenage boy. I also enjoyed the relationship between Reese and Erika, his fellow captive, and how easy things felt between them. It added a little bit of a lighter tone to all the dark and twisted things that were dealt with in the plot. This was an intriguing novel from the start, and its ending definitely made me want to know what happens next! I have some hopes for the next one, including that I want to see more of Freddie and Elle, his girlfriend, because they were the ones Reese started the novel with and I missed them throughout the rest of it. I'm also excited to learn more about some of the crazy science that was happening in this one. This is a novel that science fiction fans would greatly enjoy, but is also good for those new to the genre because it has some wonderful characters to help you along. ALTERED is a very fast paced, addicting read that completely took my by surprise. I haven’t really read many self published novels before, and I’m happy this could be one of my first. Reese had an addictive, sarcastic voice I mostly enjoyed and kept me turning the pages. He’s smart, loyal, and nice though I did think that things came a little to easy to him in regards to his… powers. He just seemed to know a lot of things without practice or experimentation. Might convenient really. Plot wise, this gets moving within a few chapters and doesn’t slow down. Things might have even been moving a little too quickly at points. I would have loved some slower moments that delved into the science and Reese’s back story a little more. I wanted to learn more about Reese’s father and his mum’s illness too. And Erika’s back story. A lot more could have been done if there was more time to spend on Erika and Joanna’s characters. That being said, ALTERED is a short novel and only so much can be done. It did surprise me though. I thought I knew the root of what was going on, but nope, I was wrong. That was a great surprise. The only other issue I can think of right now is the romance. It sort of came out of nowhere and kind of became a triangle but not really. Reese met the girls once, he had known them for not even an hour total when he starts thinking about them a lot and border line obsesses over them. It’s almost instalovey. Almost. We didn’t get to see enough of it for me to make a proper judgement. Writing style is nothing unusual to report. but that isn't a bad thing. Characters are well written and engaging. You'll find ones you love and ones you'll love to hate. Reese is a fun friend to take on this journey. His personality is witty with all the smart mouth sass you'd expect from a teenager. He is endlessly loyal, making him a valiant protagonist and an enjoyable leader through the plot. The secondary characters are equally inviting, each of them having their own distinct personality. No Writing style is nothing unusual to report. but that isn't a bad thing. Characters are well written and engaging. You'll find ones you love and ones you'll love to hate. The secondary characters are equally inviting, each of them having their own distinct personality. None of them hinder the story in any way, only adding extra enjoyment and value the whole way through. The plot its self was an intriguing one, and in the few sessions I got to actually sit down and have a crack at this book, I was surprised to how quickly the time went. There were however times when I felt like the story was just running in circles, the same thing happening over and over again. By the end I felt as if I had read the same story multiple times with every sit down session. So lets get to the point. Would I recommend this novel? Well while I won't personally be continuing on with the series (it just didn't capture my heart like other books have) I do think there will be plenty among you who will enjoy it. I would recommend you at least give it a shot and make up your own mind. Like I said, I loved the characters and the over plot line is pretty good, I just found it hard to get enthralled into the world when it seemed so repetitive. This was an easy and fast read with lots of action. I liked the themes of genetics and 'saving' those with genetic diseases by making the cells stronger - leading to 'superpowers'. I didn't really connect with the characters and I felt the story was being set up for a sequel in the latter part (which of course it was), which meant the ending wasn't really an ending, just a pause in the story. Not sure I will go on to read number 2. The copy was from Net Galley - read in exchange for an honest revi This was an easy and fast read with lots of action. I liked the themes of genetics and 'saving' those with genetic diseases by making the cells stronger - leading to 'superpowers'. Although this isn't the deepest mystery I've ever read, I really enjoyed this book. The characters, especially Reese, are engaging, memorable, and highly developed. The plot is excellent, with expertly timed twists, fantastic pacing, and great dialogue. It's a fast read- perfect for those who like action, mystery, and just a hint of science-fiction weirdness. I'll definitely be reading the sequel, and so should you. Thanks to NetGalley for a copy in exchange for an honest review. This book moved so, so fast. I like action; that's not a bad thing. I still got to know the characters to some extent. But I can't even count the number of times Reese tried to escape. My highest recommendation: I'll at least look for the sequel. I felt to story dragged a bit. I didn't really connect with any characters, in fact the best part of the book was the beginning. I had high expectations and they weren't met. However the book is a quick read and an okay read. From a slow start, this grew into the kind of YA book that actually kept me guessing. I was surprised and disappointed to reach the end of the book - not because it was poorly concluded, but because I wanted to KEEP reading it. I'll be passing this one along. I have mixed feelings on this one. The story has possibilities, but slow to develop. It is well written, but too many questions unanswered. Hope book two will start or I'll have to put it down. The price was right at $.99. There are things to like and dislike about Altered for me. This was my first A.D. Croucher read. I won a copy on Goodreads. Altered was a quick read dealing with the fascinating topic of genetics. There was enough action to keep me interested after the slow start. A. D. Croucher is actually two writers (one male, one female) who write YA novels and TV scripts. We like to think of A. D. Croucher as our superhero identity. Or our band. 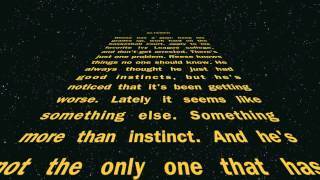 We love great YA of all kinds, although we can't help but love sci-fi!